The BALCS Cumber has been updated. It was designed to accept BALCS SPEAR cut armor and is sized Small – X-Large. It’s made from Mil-Spec materials right here in the USA. The BALCS Cumber is available in MultiCam, MultiCam Black, A-TACS AU, A-TACS FG, Kryptek Highlander, Kryptek Mandrake, Kryptek Typhon, Coyote, Khaki, Ranger Green, OD, Wolf Grey, Woodland and Black. 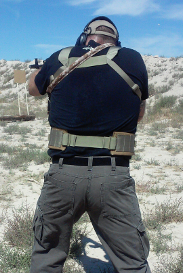 We had the opportunity to run the new CRMB (Chest Rig Molle Belt) at our annual sponsored AK FUN DAY. 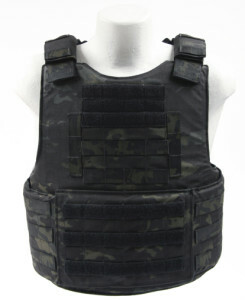 The CRMB provides additional support and padding. It really creates more stability to a chest rig set up. 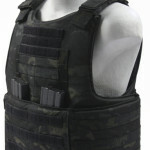 Provides 3 rows x 4 columns of additional molle webbing. 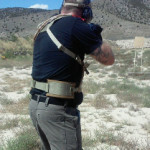 Easily attaches to any chest rig with 1” waist buckles. Fully adjustable belt. 30 inch waist and up. Adds stability and additional comfort. Support side arm and dump pouch. If you are looking for a way to take your BALCS cut armor to a new level. The BALCS LVBC does the trick. The LVBC (Low Vis BALCS Carrier) is available in: Multicam, Multicam Black, A-TACS AU, A-TACS FG, Kryptek Highlander, Kryptek Mandrake, Kryptek Typhon, Coyote, Khaki, Ranger Green, OD, Wolf Grey, Woodland and Black. 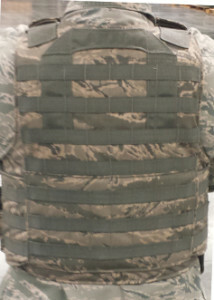 The Air Force Security Forces was looking for a body armor carrier that would support soft armor and hard armor SAPI/ESAPI plates. Our BALCS cumber carrier in ABU fit their need. 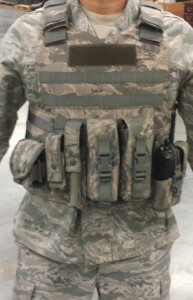 The ABU BALCS Body Armor Carrier has plenty of molle webbing and a full cummerbund to allow the AF Security Force Airmen to configure their load out for any situation. 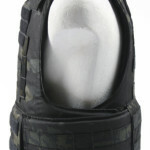 Shoulder pads provide additional comfort and have hydration/comms routing webbing. The internal and external elastic cummerbund provide proper fit and adjustment. 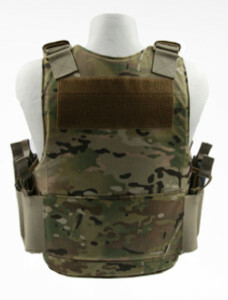 The rear of the ABU BALCS body armor carrier has plenty of molle webbing and includes a reinforced drag handle. The rear cummerbund flap supports the cummerbund and keeps it low profile. 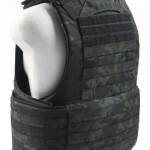 The ABU BALCS body armor carrier hold BALCS cut armor available in S, M, L and XL sizes. Groin protection attachment points are included. 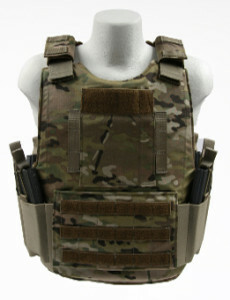 If you are an Air Force Security Forces Airmen and need a soft and hard body armor carrier this is the one.